Get back on the water in no time when you rely on Gulf Coast Marine for your boat repairs and boat parts. For the best boating accessories, including depth finders,GPS, and stereos, shop with Gulf Coast Marine. When you're in the market for a new Magic Tilt™ trailer, be sure to turn to the team at Gulf Coast Marine. 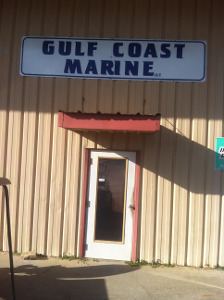 Gulf Coast Marine in Fairhope, Alabama, is a marine repair company specializing in boat motors, electronics, and wiring, as well as trailers. We are qualified to repair anything on a boat, with the exception of fiberglass. We take pride in how quickly we have our clients back on the water. Unlike big dealers, we focus on each customer individually. All of our technicians are certified mechanics and graduates of the Marine Mechanics Institute. We are trained to work with all major brands. Contact us in Fairhope, Alabama, for more information regarding our marine repair company.